I'll take 'A Walk in the Woods' with Robert Redford any day. Look. I'm a fan. I had a crush on Robert Redford before you were born. Okay, maybe not before you were born, if you happened to be born after 1973. But still, a long time. No other actor has floated my boat quite like Redford has. So much so that I actually wrote him a fan letter—the only fan letter I've ever written—back in the day. And I mean back in the day when you actually had to figure out how to get hold of people the hard way. There was no internet. No Facebook. No twitter. You had to do research, go to the library, use your noodle. You had to call Directory Assistance multiple times, type up a real letter, and an envelope, buy a stamp. We're talking real passion. No surprise then, that I'll be seeing the movie based on Bill Bryson's book about hiking the Appalachian Trail when it comes out on September 2. To be honest, I've only just started Bryson's memoir. It's one of those books that the movie is bringing me to, as opposed to the book piquing my interest in the movie. Nick Nolte plays Bryson's pal former wild man Steven Katz, a reformed alcoholic, who Bryson first met in middle school. It's a long friendship, and while the pair's antics are funny, the reunion on the trail is quite moving especially—and this is for my fellow oldies out there—when you think of the people you've lost touch with over the years yourself. Originally Robert Redford acquired the rights with the plan to make the movie with Paul Newman as Katz but then Newman got sick and ultimately passed away. I can't even imagine what that would have been like! Ecstasy, I'm thinking. Still, Nolte looks like he does an awesome job. 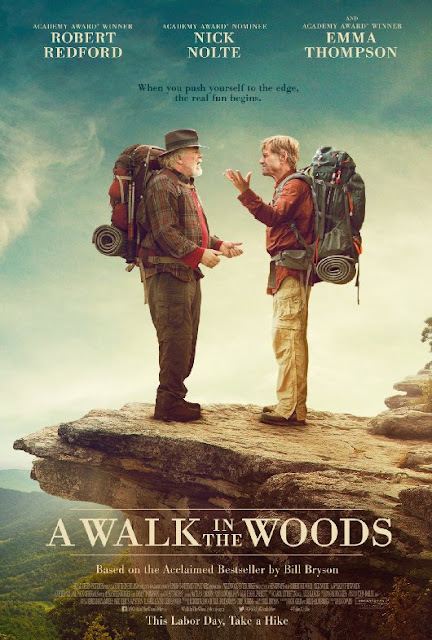 Both men are further into 'middle age' than Bill Bryson was when he took the hike but that only adds to the humor. The supporting cast looks awesome as well. Emma Thompson as Bill's wife, funny Kristal Schaal as the helpful hiker Mary Ellen, Mary Steenburgen as an alluring hotel proprietress who tempts Bryson and that's Nick Offerman as the camping store salesman. The trailer made me laugh and cry. That's a cliche, I know, but what can I say, it's true. Take a gander and tell me if this isn't laugh out loud funny. 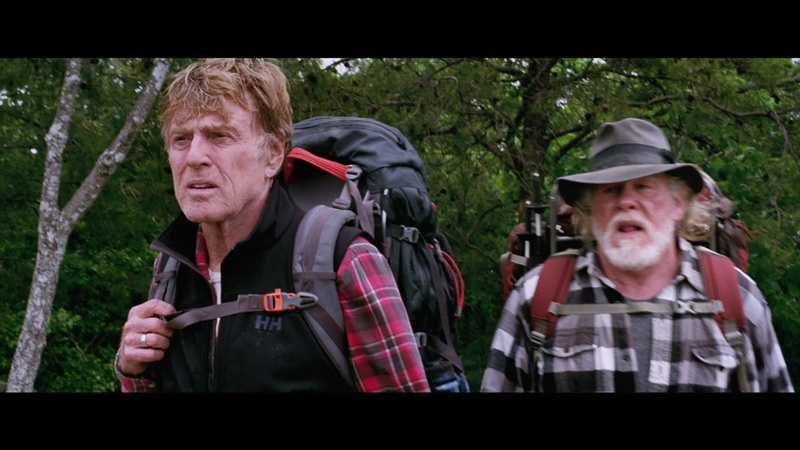 Earl is right, Redford is too old to play Bill —he's 78— and I suppose he's technically too old for Emma who is 56. The age difference between Bobby and Emma doesn't bother me so much but that's because I'm only a handful of years older than her (I'm 62) and he is definitely not too old for me. If ya know what I mean.